Only 5510 primary , child healthcare centre & sub centres working. 773 only district hospital in working conditions. 80% shortfall in skilled manpower. 840 million people will be water starved. 80% of surface water polluted. 75.8 million deprived of clean water. Major shortfall under the healthcare system is lack of community. knowledge. as they still dependent on traditional practices to cure diseases. 52.1 % still defecates in open. 7.41 crore household toilets are defunct. 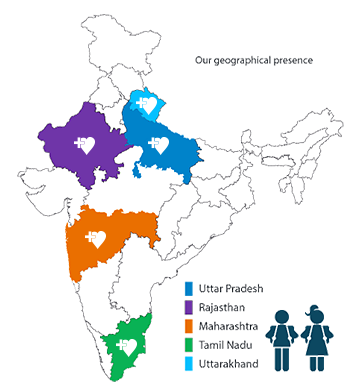 17 of the 650 districts have been declared Open Defecation Free. GlobalHunt Foundation is rigoursouly looking for support to enhance the capacity of local health care workers as they are the main source of community health care. By educating them on digital technology and creating connectivity between healthcare centres and district hospitals the Foundation aims to establish preventive care systems. Where with the help of technology community health facilities can be further strengthen. To ensure safe drinking water facilities among rural and deprived communities GlobalHunt Foundation is seeking support to establish drinking water vending machines. The machines will not only provide drinking water facilities to community but will also create livelihood opportunities. Moreover the Foundation aims to establish rain water harvesting systems at the schools level on a large scale so as to create a system of water management and ensure proper water channels for the students. GlobalHunt Foundation is supporting construction of eco-freindly sustainable toilets at the school and community level so as to ensure availability of safe and hygienic toilets for improved access to sanitation. The Foundation is not only ensuring availability of toilets but is also conducting community and school level capacity building priograms to change people behaviour and usage practices. To improvize on the awareness and knowledge level of the community regarding healthcare GlobalHunt Foundation is conducting extensive capacity building programmes for enhahncing existing capacities of communty towards hygiene, sanitation, malnutrition and childcare among others. 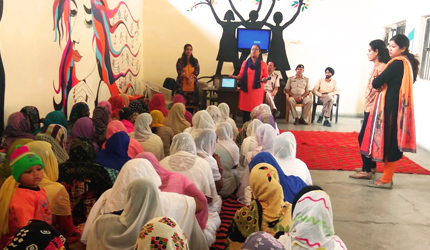 Menstrual hygiene is again one such area where Foundation is conducting extensive learning programmes for adolscent girls and women to accept menstrual hygiene as normal course. We want to establish technology based healthcare systems for rural communities for better accessability of services. We are sensitizing larger communities on hygiene and sanitation, childcare issues and preventive health care. We aim to contribute towards national health issues so as promote better health status among communities.